Riding 27 broncs in one day, Alice was billed as the girl who could ride anything on four feet. 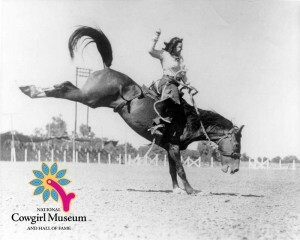 She started riding at the age of five and had a rodeo career which spanned thirty years and included bronc riding championships in the U.S. and Cuba. Retiring from event participation, she served in administrative roles for rodeos until leaving to run a ranch with her husband. She later became an accomplished organist and worked for the Oklahoma Democratic Party.